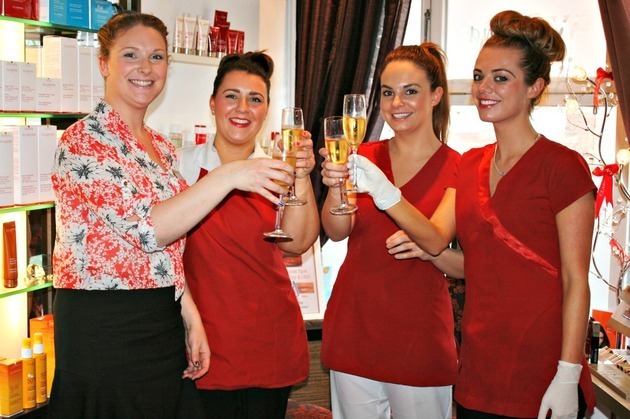 Founded in 2003 by director Alison Stananought, Woodlands Beauty Clinic, located on Aigburth Road, has become renowned across the North West for delivering a range of holistic and beauty therapies, together with specialist aesthetic treatments. Having originally set up the business in her home garage, Alison and the team have watched Woodlands grow from strength to strength over the past decade, and have steadily accumulated a vast number of loyal clientele. She said: “The team and I are excited to be celebrating another year of successful business – it gives us a great sense of pride and achievement to see how far Woodlands has come in a relatively short space of time. “Over the past twelve years, we have made so many memories and enjoyed various business highlights. In 2012 we were nominated for Best Beauty Clinic in the Liverpool Lifestyle Awards and we were also shortlisted as Best Clinic and Best Aesthetic Nurse Practitioner in the prestigious national Aesthetic Awards 2012/2013. As we were up against such high calibre entries, it was amazing to be applauded and recognised for what we do. We are also one of the first clinics in the country to be fully trained in and offer the PDO thread lift and we are still one of few salons that stocks prestigious skin-care brand Clarins. As part of on-going company developments, Woodlands Beauty Client maintains a fresh approach to keep up-to-date with the latest beauty trends and has recently introduced new treatments including the Vampire Facelift, popular with celebrities such as Kim Kardashian. The venue is also currently undergoing expansion plans, which will see the arrival of a double treatment room – ideal for couple massages and group packages such as hen party pampers. Alison added: “We have got a great history behind us, and we have got even more exciting things coming up in the future including the venue’s expansion and the introduction of new innovative treatments.